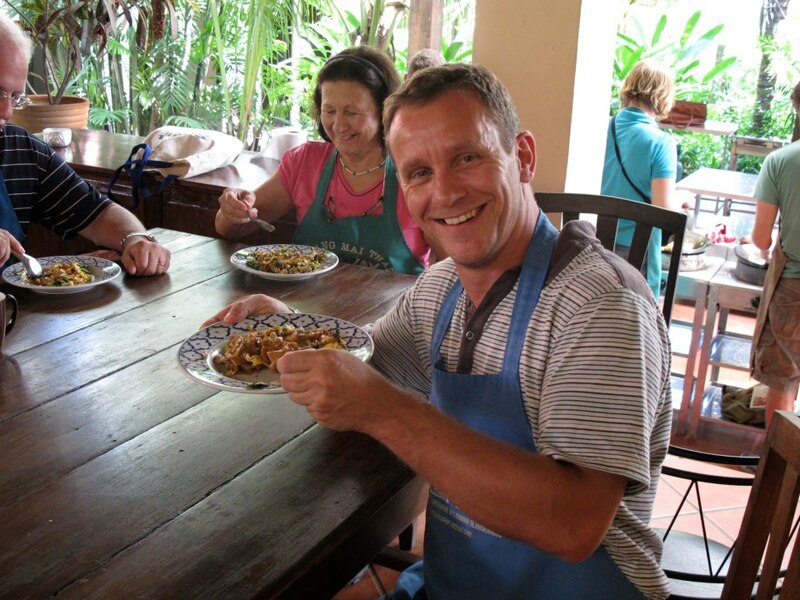 An article I wrote for Lonely Planet's website. Note the heavy edit on Blarney Castle compared to my original! Castles – whether ruined, regal or otherwise – are a feature of the Irish landscape. Successive waves of arrivals built fortifications to protect themselves from rival claimants to their newly acquired patch of land. 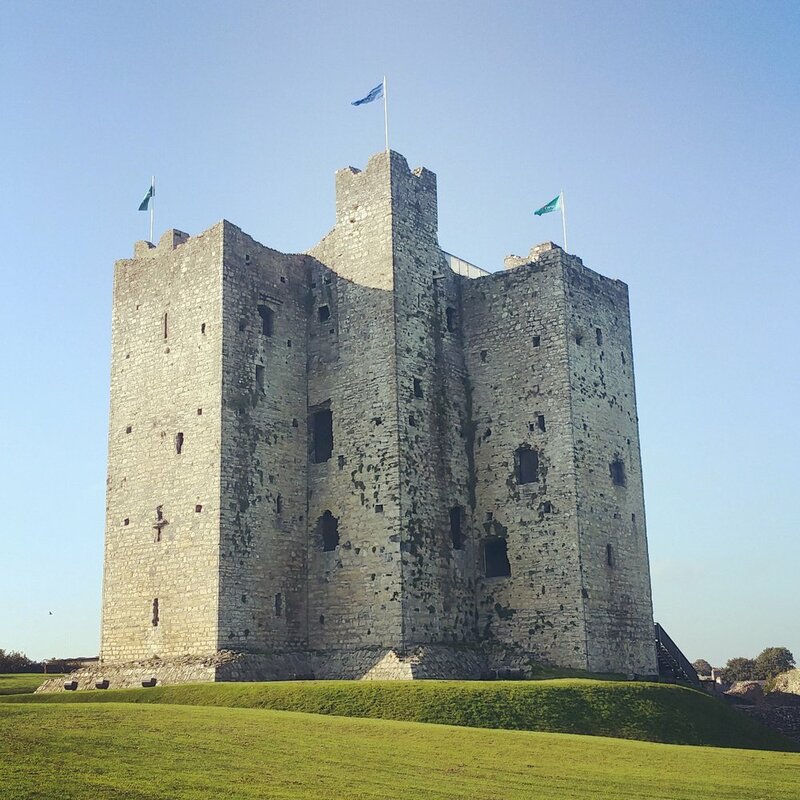 Of the 1000 or so castles spread across Ireland, the most impressive are the ones built by the Anglo-Normans beginning in the late 12th century, some of which have survived (relatively) intact while others were given facelifts in accordance with architectural fashion. Still others were ruined following successful sieges, but even in their dilapidated state they still evoke the grandeur that they were built to convey. A contender for Ireland’s finest hotel is the 19th-century regal hunting and fishing lodge created by Arthur Guinness (of stout fame) out of a castle first built in 1228 as the seat of the de Burgo family. Guinness’ Victorian-style extensions were added to the original building, which itself had been transformed in 1715 into a French-style chateau; in the late 19th century the extensions were given a neo-Gothic makeover resulting in the building you see today. Despite its many styles, Ashford Castle is a stunner – and that’s before you even get inside, a five-star luxury hotel with all the trimmings including a sumptuous spa and its own cinema. Overshadowed to the point of irrelevance by a single block in its battlements, Blarney Castle is effectively a life-support system for Ireland’s most enduring yarn. No, you won’t get the gift of the gab by kissing the Blarney Stone, nor is the photo booth gift shop (where you can buy photos of you doing the latter) built into the castle itself original, but the remainder of this fine 15th-century castle is worth exploring, if only to climb the spiral staircase and walk the battlements of a proper medieval structure. Mighty Cahir Castle looks like a medieval castle should: massive walls, mullioned windows and thick walls are all surrounded by a broad moat. Founded in 1142, it was heavily damaged by cannonfire in 1599, but survived both the attack and Cromwell’s takeover in 1650, who did the castle a solid and left it intact. All very much to the contemporary visitor’s benefit: the most impressive bit of this awesome structure is the sparsely decorated Banqueting Hall – its thick white walls are adorned by a huge set of antlers. Just as you imagined it was in days of yore. Ireland’s most impressive Norman castle is also one of its oldest: established in 1177 by John de Courcy right after he invaded Ulster, it remains the best preserved medieval structure in Ireland – despite being besieged in turn by the Scots, Irish, English and the French. The castle’s central role in Irish history is explained in detail in the museum: the castle overlooks the harbour where William of Orange landed in 1690 on his way to fight the Battle of the Boyne. In 1778, American naval commander John Paul Jones won an hour-long sea battle with a Royal Navy vessel in the waters of the harbour. Location-wise, Dunluce is a stunner (see the image at the top), a ruined castle perched on a stone crag overlooking the sea. It was built in the early 16th-century by the McQuillan family before being seized in 1550 by the MacDonnell clan, who later took on the title of earls of Antrim. The castle has known its fair share of drama: the Girona galleass was wrecked on the rocks beneath it during the Spanish Armada of 1588, with only 9 survivors among its crew of 1300; 51 years later, part of the castle collapsed into the sea along with seven servants. 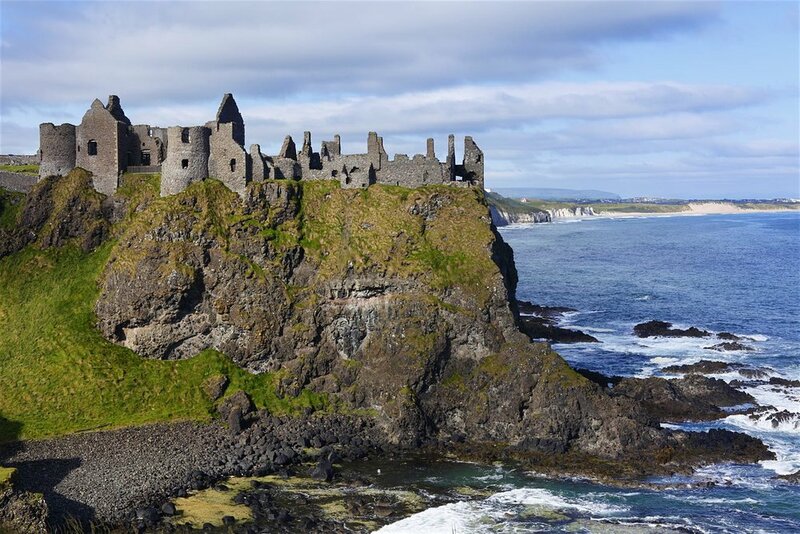 It is thought that Dunluce was the inspiration for CS Lewis’ castle Cair Paravel in The Chronicles of Narnia. Sometime in the 1420s, Hugh ‘the Hospitable’ Maguire established this impressive castle on the banks of Lough Erne, but he didn’t have many opportunities to live up to his nickname, as he went on pilgrimage to the Holy Land and died upon his return in 1428. Successive heads of the Maguire clan – later titled the lords of Fermanagh – improved on Hugh’s original keep, whose twin-turreted Watergate still looms over passing fleets of cabin cruisers on the lake. The castle is now home to the fascinating Fermanagh County Museum and, on the ground floor, the Lakelands Gallery, where you’ll find a 1000-year-old 35lb block of butter that was preserved in a bog until it was dug up in 1980. 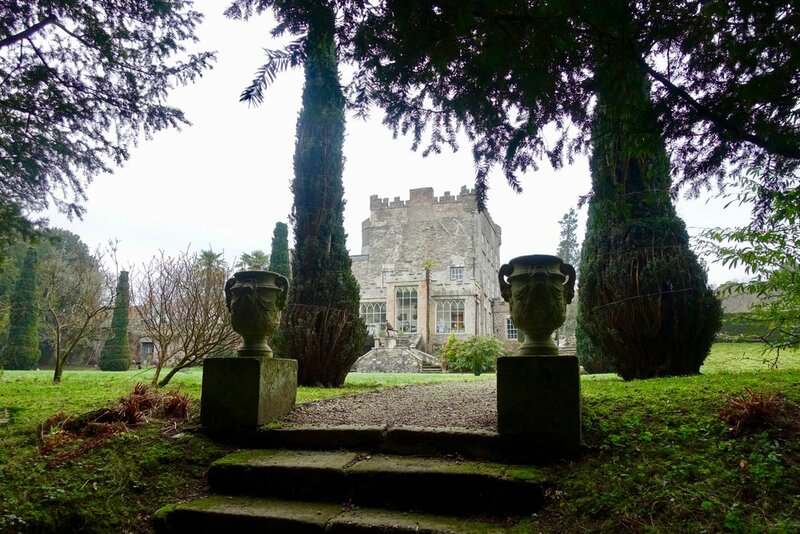 Irish history made it difficult for castles to have the same owners through the centuries, but not so the Esmonde family, who’ve held on to Huntington Castle since its construction in 1625 – around their 15th-century tower house. Still, they’ve added bits along the years, including Georgian terraces, flamboyantly castellated Victorian extensions and, in the old dungeon, even a temple of the Fellowship of Isis, a religion established by the current owner’s aunt and uncle in 1976 – a year after Stanley Kubrick used the castle as the setting for Barry Lyndon. Once the stronghold of the powerful Butler family, this huge castle is one of Ireland’s most visited heritage sites. Although it was originally established in 1192 on a wooden tower built 20 years earlier by the Anglo-Norman conqueror of Ireland Richard de Clare, aka Strongbow, most of what you see today dates from the 19th-century, when it was given a huge Victorian overhaul. The most eye-catching room is the Long Gallery, with its painted timber roof and carved marble fireplace. The walls are lined with portraits of generations’ worth of notable Butlers. The basement houses one of Ireland’s finest contemporary art galleries. For over 800 years until 1976 the Talbot family home was Malahide Castle, on the edge of a handsome suburban village in north County Dublin. The three-storey tower house is the only bit that remains of the original castle, built in 1185; much of the rest was added in subsequent centuries, including the 18th century drawing rooms and the Gothic revival corner turrets, built according to 19th century fashion. 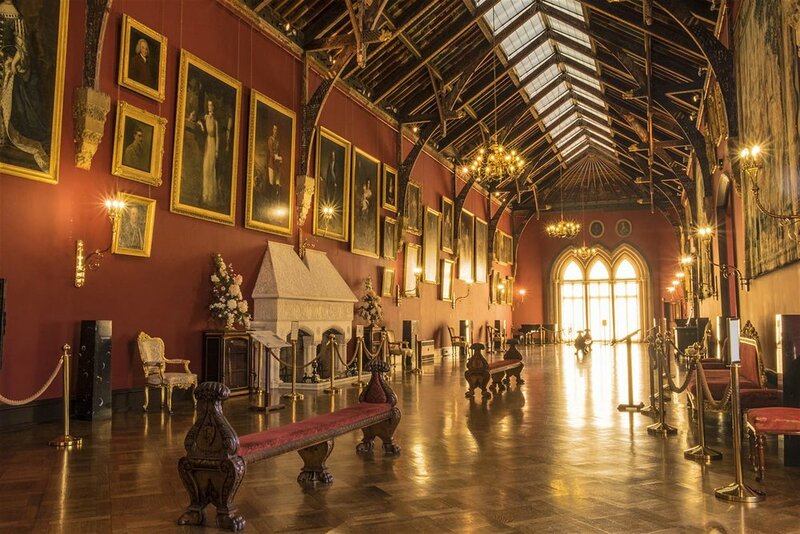 The 45-minute guided tour takes you through much of the house to the Great Hall, where 11 members of the Talbot family ate supper before dying at the Battle of the Boyne in 1690. If you need proof of the durability of a medieval castle, the mighty keep at Trim is it. Basically unchanged since 1200, the 25m-high building is mounted on a Norman motte and is surrounded by a 450m-long outer curtain wall. Inside, the ground floor has models of what the castle would have looked like in its heyday, including a handsome whitewash on its outer walls. The tour takes you to the battlements at the top, from where you can imagine being a 17th century defender fighting off Cromwell’s attacks. You failed, by the way, as Cromwell took the castle in 1649. 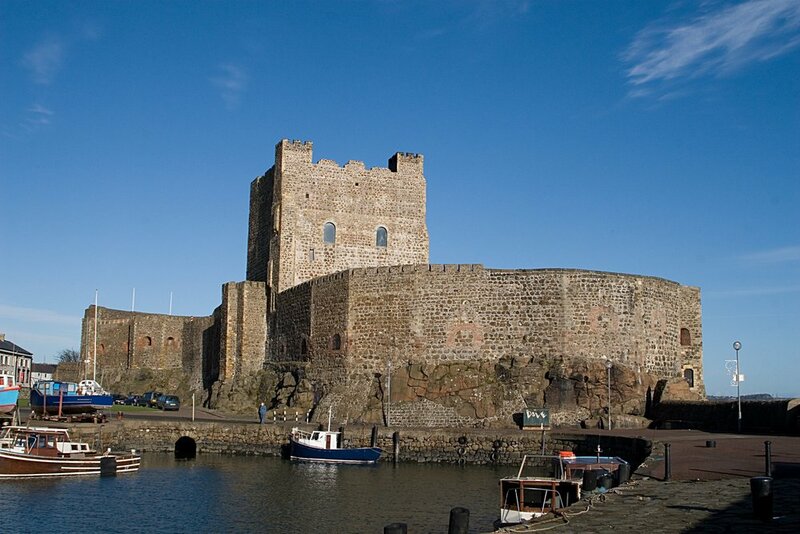 The castle had a starring role in 1996’s Braveheart, as the Tower of London and Edinburgh and York castles. Getting married in Vegas is more than a bit cliche, but a couple says ‘I do’ every five minutes in Sin City. If it was good enough for Elvis and Priscilla, Billy Bob and Angelina, Britney and Jason…well then, it’s good enough for the rest of us. What’s that I hear you say? None of those marriages were particularly successful? Ok, so one-in-two marriages mightn’t make it until the end, but those 50:50 odds are still a lot better than you’ll find in any casino, and nobody thinks you’re dumb for spinning the roulette wheel or going for a flush on a poker machine. It’s easy to get hitched in Vegas, but it’s not that easy. You can’t just roll up with a belly full of tequila and marry someone you’ve only met for the first time three hours earlier. All Vegas weddings need a marriage license, and to get one (costing from $60) you’ll have to apply 24 hours ahead of time at the Clark County Marriage License Bureau (clarkcountynv.gov/Depts/clerk/Services/Pages/MarriageLicenses.aspx) – which can get pretty busy at weekends and during holidays. Also, despite Sin City’s reputation for lax morals, it’s pretty traditional when it comes to eligibility: you have to be 18; your spouse can’t be “nearer of kin than second cousins or cousins of half-blood”; and you can’t already be married to someone else who’s still alive. So, now that you’ve determined you’re of age and don’t plan to marry your sibling, you’re free to take the plunge…but the question is where? Las Vegas’ most famous hitching post is the Graceland Wedding Chapel (619 S Las Vegas Blvd; gracelandchapel.com), where, from around $200, an Elvis impersonator will tie the knot and break into a chorus of Love Me Tender (or something equally suited to the occasion). They also offer – for an extra charge - fresh or silk flowers, a photographer/videographer to immortalise the beautiful moment and even the option of a live internet feed, so that Aunt Peg and Uncle Michael in Brentford, who couldn’t make the wedding because nobody told them about it, can share in the joy from the comfort of their sitting room. 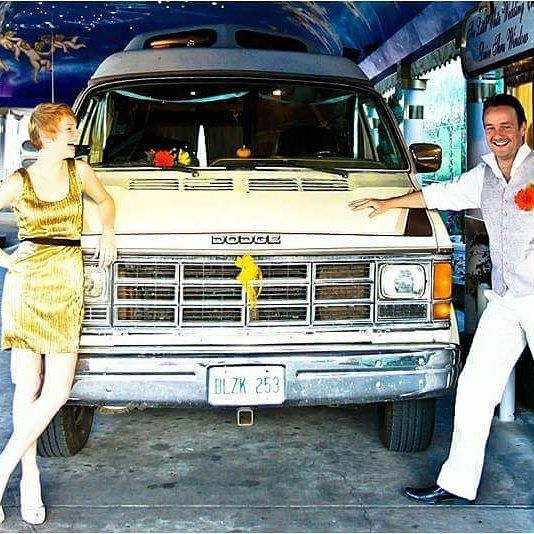 These add-ons are pretty standard nowadays in most of Vegas’ wedding venues, plus a whole lot of others, including limo service to and from your hotel, wedding rings and – because it’s Vegas – a candid photo shoot of the bride and groom for that ‘special’ wedding album. The All-Inclusive VIP package at the Little Church of the West (4617 S Las Vegas Blvd; littlechurchlv.com), a wooden chapel built in 1942 that featured in Viva Las Vegas, will cost around $3000, but you can get a basic ceremony for around $200. What they don’t offer is a live feed, but you can also get that at the Viva Las Vegas Wedding Chapel (1205 S Las Vegas Blvd; vivalasvegasweddings.com), which offers the choice of a traditional or themed wedding: you can opt to ride down the aisle on a Harley Davidson to get married by a biker dude (or dudette); say ‘I do’ while wearing a gladiator costume including a sword and shield; or exchange rings in a graveyard setting. This is Vegas, baby – where you can get pretty much anything you want. If you’re in a hurry, you can get married in a drive-thru chapel like Vegas Weddings (555 S 3rd St; 702wedding.com), a cathedral-style chapel that also does more traditional sit-down weddings as well as outdoor weddings in beautiful settings like Lake Mead or the Valley of Fire State Park, about 60 miles northeast of the Strip. My mother’s 70th birthday present from the rest of the family: a two-week, keep-your-hand-in-your-pocket holiday to Thailand and Cambodia. And going with her would not be my Dad (long-haul flight terror) but me – her travel writer son who just can’t get enough of Southeast Asia. The perfect trip, right? So why was it that when I told friends about it the general reaction was ‘lovely idea, but two weeks is an awfully long time’? Mam and I have a terrific bond, but we don’t know each other particularly well. We haven’t lived in the same country for more than 20 years, so there’s plenty about her I didn’t know. Like what kind of traveller was she? The active explorer type or the sit-and-soak-it-in kind? What’s more, she’s 70 – what did I know about travelling with a septuagenarian? The answer was to combine activity with relaxation, and in Thailand, that means a massage. Over the two weeks Mam tried them all: she had her muscles kneaded and pummelled by masseuses at the nationwide network of massage shops operated by the blind; she tested the luxury of the classic Thai spa (her top vote went to the simply magnificent Chi Spa at the Shangri La Hotel in Bangkok); and even put her body on the line at the massage school in Chiang Mai’s women’s prison, part of an outreach programme for soon-to-be-released prisoners. There were no boundaries in the pursuit of muscular bliss. After a few days in Bangkok we struck north for the wonderful Anantara Resort in the Golden Triangle, the jungle-clad, mountainous axis of Thailand, Burma and Laos, which meet at a fork in the mighty Mekong River. Broad and brown from mud, it's not especially beautiful here, but there was something about where we were that really caught both of our imaginations. Mam had first heard of it in the early days of the Vietnam War, and as we boarded a longboat she imagined the horrors of the American bombings. "Do you think it happened this far up?" she asked, hoping to be paddling through an important part of recent world history. I didn't want to break the spell. I told her I didn't know. 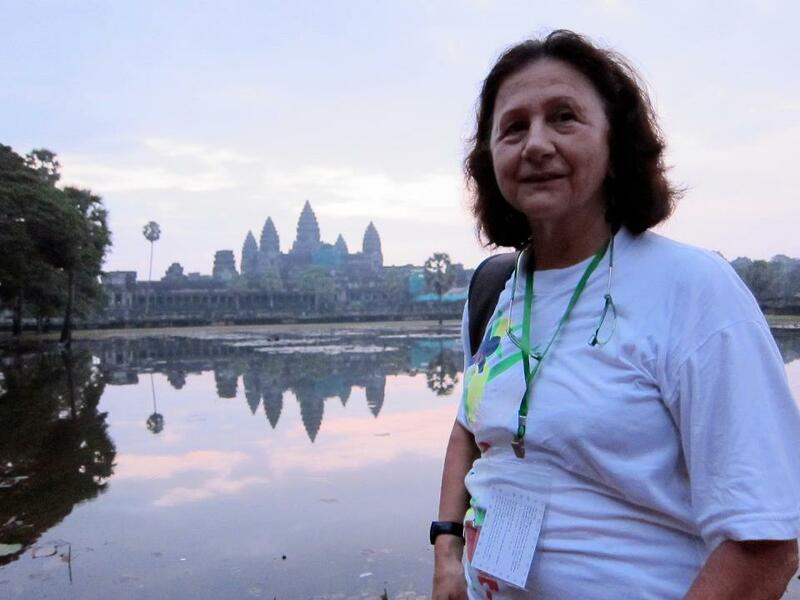 For as long as I can remember Mam has wanted to visit the temples of Angkor, so the last leg of our trip took us across the border into Cambodia – just a short flight from Bangkok to Siem Reap. We spent two days exploring the vast network of temples and other ruins – Mam particularly enjoyed tapping into her inner Lara Croft as she clambered about the root-covered ruins of Ta Prohm. “I will remember this trip for the rest of my life,” she declared over dinner on our last night. “It’s everything I had hoped for, but not at all what I had expected. I had no idea that Thailand has everything,” she said while tucking into her mango sticky rice pudding. “It’s got so much culture, so many interesting cities, beautiful countryside…everything! They should publicise that more!” She paused for a second. “Maybe backpackers know all about the diversity in Thailand, but I didn’t.” The next morning, as we waited for our airport-bound taxi, she looked wistfully at the city waking up outside, turned to me and announced that she would definitely be back. …in Bangkok: Shangri-La Hotel (www.shangri-la.com) On the Chao Phraya River, this luxury business hotel has great views, great rooms and one of the best spas in the world, the Chi. …in Siem Reap: Park Hyatt (siemreap.park.hyatt.com/en/hotel/home.html) An example of contemporary minimalism and traditional Khmer design. When I told friends that I was going to Colombia, the reaction was predictable: watch out for the guerrillas. Stay away from Colombian ‘marching powder.’ Come back alive. When I told them that I was flying from Amsterdam, one of my friends suggested that I didn’t even need a plane to reach the required altitude. A cafe in La Candelaria. So good they named it twice. There’s no doubt that Colombia has a troubled reputation to shake. This is a country that for most of the last 50 years has been synonymous with violence and bloodshed. Arriving into Bogotá’s El Dorado Airport after eleven hours of comfort aboard KLM’s newest 787 Dreamliner, I was expecting armed soldiers and a general vibe of suspicion and menace. Instead, I found an impressively modern airport and an air of efficient calm that wouldn’t seem out of place in Switzerland. It was indeed. I’d been put off in the past by the civil war that turned the cities into militarised zones and huge parts of the countryside into no-go areas. But the government and FARC signed a peace deal earlier this year that put a putative end to the fighting; amid the general post-conflict excitement I even heard of plans to launch guided tours of former FARC jungle camps – led by demobilised guerrilla fighters. The view from Monserrate of Bogota's urban sprawl. 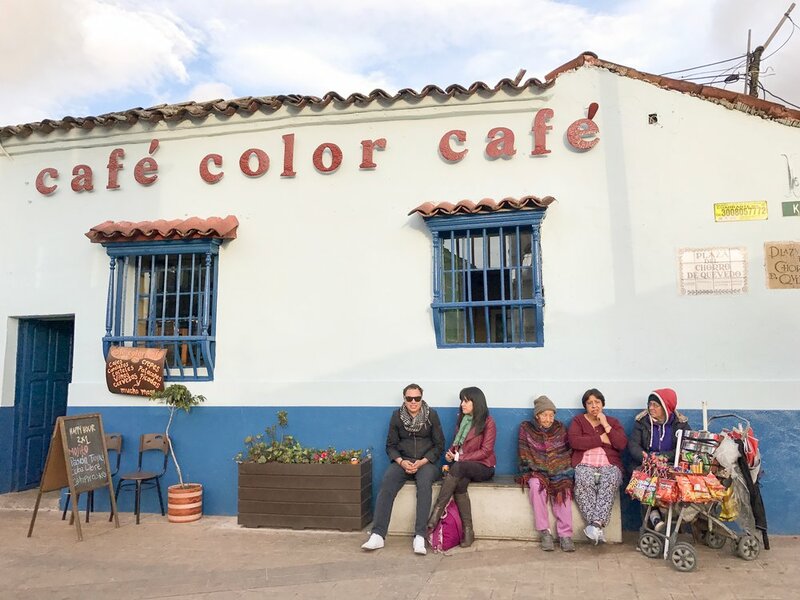 Cities are always that bit more attractive if the threat of bombing or kidnapping is negligible, and so it is with post-treaty Bogotá, the huge sprawling capital set on a high plain cradled by the Andes. It’s a city so big that getting from one side to another feels more like migrating than commuting. To get a sense of just how big 1700 square km is, I took the cable car to the top of Monserrate mountain – home to a white-topped monastery that is a popular pilgrimage and incredible views of the whole Bogotá valley, spread out in all its glory; on clear days, you can see volcanic peaks of Los Nevados, 135km to the west in the Cordillera Central, the highest part of the Colombian Andes. Monserrate aside, most of the tourist action is concentrated in La Candelaria, the cobbled historic centre full of rows of colonial-era houses and most of the most important official buildings, including the heavily guarded presidential palace. I could see it from the windows of my hotel room, a gorgeous colonial house once lived in by Simón Bolívar, national hero of Colombia and much of Latin America besides. All the way down the street I could see clusters of armed soldiers, smoking and chatting, and everyone else just going about their business, occasionally stopping to join in the conversation. Peace may have broken out, but Bogotá isn’t about to stop being vigilant just yet: elsewhere in the centre, most public buildings are guarded by private security guards and their fierce looking bull mastiffs. And, because this is a Latin American megalopolis, I was told to keep a close on my belongings and to avoid the area at night. So, I kept my wanderings to daylight hours, visiting the excellent Gold Museum – home to more than 50,000 pieces representing all of Colombia’s pre-Hispanic cultures – and taking a fascinating tour of the city’s political murals. I suspect that Bogotá is one of those cities that gets more interesting the longer you stay. I was there for only a couple of days so I never got past the ‘on edge and intimidated’ phase – even the knowledge that the greatest threat was robbery rather than kidnapping or murder was only scant consolation. If Bogotá is big and overwhelming, the contrast with Cartagena couldn’t be starker. Smaller, safer and far more chilled out, this colonial city of less than a million people is the country’s most popular tourist destination and one of the most beautiful cities I’ve ever been to. The bulk of the attention is on the Unesco-protected old town, a gorgeous maze of narrow streets lined with colourful houses fronted by trellised balconies draped in bougainvillea. It’s Havana meets New Orleans, wrapped in a 13km bow of colonial stone walls. The houses of Cartagena's old town. Across the harbour on the Bocagrande peninsula is the modern city, a mini-Miami of gleaming skyscrapers where moneyed locals live in fancy apartments and dine in the city’s hippest restaurants. Before the peace treaty, getting here by road from Bogotá was a 12-hour trip few dared make for fear of being kidnapped by FARC. 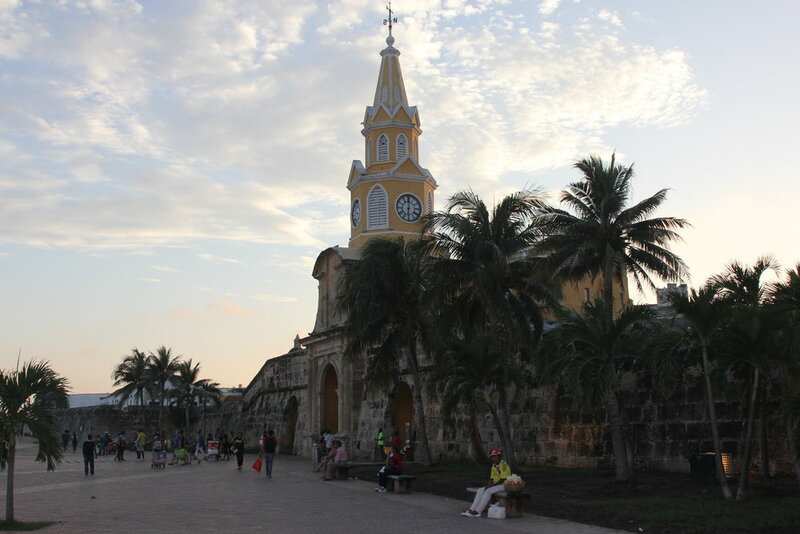 Instead, it’s an easy 45-minute flight from the capital: as well as almost hourly flights with national carrier Avianca, KLM’s service continues onward to Cartagena from Bogotá before making the transatlantic crossing back to Amsterdam. Cartagena is a cinch to explore on foot. Best thing to do is wander aimlessly about the old town and the working-class neighbourhood of Getsemaní, getting lost in the streets that spill out onto handsome squares where locals take shade from the tropical sun and play chess or listen to salsa. And drink coffee. Cocaine might be the country’s most infamous and talked about export, but by far its most profitable powder comes from the Arabica coffee bean, of which Colombia is the world’s biggest grower. Colombians drink coffee by the bucketload, generally opting for a basic shot they call a ‘tinto,’ but their overall appreciation of how to make a decent brew would leave even the most pretentious barista in the ha’penny place. 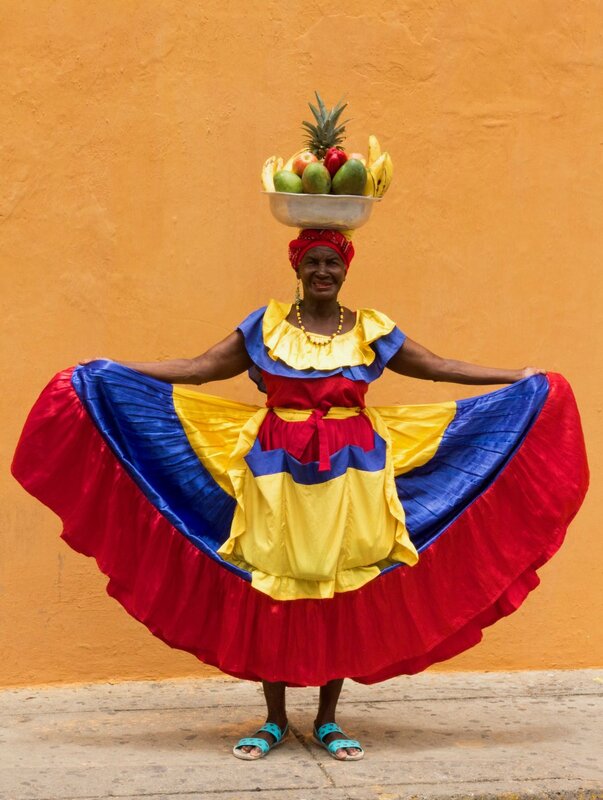 A palenquera, from San Basilio de Palenque, just southeast of Cartagena, a town founded by runaway slaves. At Café San Alberto, in the old town, I took a quick half-hour course in the history and secrets of Colombian coffee – and walked out with eight bags of beans that should keep me in caffeine heaven for the next few months at least. Much like Dublin is intimately connected with James Joyce, so Cartagena is closely linked with Nobel-Prize winning author Gabriel García Márquez, who harnessed the complicated reality he observed in the city and transformed it into the magical realism of novels like 100 Years of Solitude and Love in the Time of Cholera. 100 Years of Solitude was a rite of passage for most of us when I was in university, but it remains the only one of his books I’ve ever bothered reading. Still, the highlight of my time in Cartagena was a three-hour Márquez-themed food tour, where we’d stop at food stalls that Márquez had written about and sample local dishes like cheese arepas (flatbreads), patacones (twice-fried green plantains with garlic) and bollos (boiled taro wrapped in banana leaf). For a proper feel of the Caribbean, I headed offshore about 10km to the Islas del Rosario, a necklace of coral islands where I tried stand-up paddle-boarding for the first time (I only spent the first half of the session falling off and getting back on again) and ate grilled red snapper caught minutes earlier by a smiling fisherman who insisted that it was “muy bueno.” It was. On my last night in Colombia I got an email notification telling me that series 3 of Narcos was now available on Netflix. For a moment, I felt a little strange: I loved the first two series, which told the bloody story of Colombian narco-boss Pablo Escobar, but I never imagined that I would be watching it in the very country where it all took place, albeit 30-odd years ago. I’d been told that Escobar had owned a house on one of the islands off the coast, but nobody could tell me which one. Instead, I was left to imagine it, and as I sat down to watch the first episode of series 3 later that night, I thought that Gabriel García Márquez would have appreciated the strangeness of it all. KLM (klm.com) flies three times weekly to Bogotá and Cartagena from Amsterdam from €859 return in economy, €2202 in business class. If you've any interest in the past, then you'll know what I mean when I talk about that feeling of excitement that comes from finding yourself in history's long shadow. For me, it was standing on the steps of the Lincoln Memorial, on the exact spot where Martin Luther King, Jr delivered his 'I Have a Dream' speech. Or taking my old-school Marxist dad to Chetham's Library and sitting in the very alcove where Marx and Engels studied the books that would eventually give shape to the Communist Manifesto. I get that buzz from more mundane moments too. In Paris, I've eaten in the grossly over-priced and underwhelming tourist trap that is Fouquet's on the Champs-Elysées, just because it was James Joyce's favourite, eating and drinking into the long night....and paying for it with hangovers and other people's money. History's footsteps are a big selling point of a visit to the Elizabeth Gaskell House, in the Longsight suburb of south Manchester. Before I've even stepped inside, an enthusiastic guide urges me to ring the still-working original doorbell, and do what Charles Dickens, Charlotte Brontë, Harriet Beecher Stowe and John Ruskin all did before me. My guide is a fellow history wonk, a traveller of ancient shadows. Although closely associated with the Cheshire town of Knutsford (immortalised as Cranford), Elizabeth moved into the house at 84 Plymouth Grove in 1850, two years after the publication of her debut novel, Mary Barton. She fretted about the exorbitant rent of £150 a year (roughly £18,000 in today's money, which would be a steal in this housing market). In a letter to a friend she expressed her concerns about the morality of spending so much money "while so many are wanting," but was determined to mollify her guilt by "[trying] to make the house give as much pleasure to others as I can." It's a commitment the Elizabeth Gaskell Society are keen to maintain. Every visitor is greeted like an old friend and encouraged to make themselves at home. I'm told to sit at the desk Elizabeth's husband William used, and to rifle through the period books that line the shelves in the study (not Gaskell originals, but copies of books they would have had in their collection). In the parlour on the far side of the entrance hall there are copies of letters written by Elizabeth as well as her wedding dress, carefully displayed in a glass case. At the far end of the dining room, laid out as the Gaskells would have known, is her writing desk, flooded with light from the alcove windows. On it are facsimiles of letters, including one from her friend Charlotte Brontë (Elizabeth wrote her biography in 1857), who also hid behind the curtains in the large drawing room. There are no ropes or labels, and as much as the house and its contents offer an intimate portrait of how the Gaskells lived, they really come to life through the anecdotes related with great relish and affection by the friendly room-stewards. How, during the bread riots of 1863, when the well-to-do citizens of Manchester were instructed to board up their windows to deter looters, William - a Unitarian minister at nearby Cross Street - and Elizabeth ordered that the windows be opened so that they could distribute what food they had to workers clamouring for sustenance. The stories paint a picture of two social justice warriors, committed to ideals of fairness and decency for all, especially the teeming poor that kept industrial Manchester in gear. Their own relationship was one of equals, a far cry from the patriarchal mores of the time. I also liked the stories about Elizabeth's relationship with Dickens. He called her Scheherazade, because her powers of narrative were good "for at least a thousand nights and one," but he had less tolerance for her habit of submitting work at the very last minute and way over-length (like most writers, including this one): as editor of her 1855 novel North and South, Dickens had gone to great lengths to suggest cuts, which Gaskell completely ignored, commenting with a dismissive "I've not a notion what he means." Elizabeth was, by the standards of the time, ferociously independent - in 1865 she bought a house in Hampshire without telling William. It would be their retirement home, away from the soot and dirt of Manchester's dark, satanic mills. When the house was bought and decorated, she cajoled William into making the trip south to visit the house, but no sooner did she reveal the big surprise she suffered a heart attack and died, aged 55. William returned to 84 Plymouth Grove and lived there with his two daughters until his death in 1884; it was eventually sold in 1913, when the Gaskells' daughter Meta died. The house was acquired by the Manchester Buildings Historic Trust in 2004, who then set about a laborious restoration (aided by £2.5m of Heritage Lottery funds). It was meant to finish in 2011, but the roof was damaged by vandals delaying the reopening until 2014.